Do you need more power coming into your home? Pearce Electric is a licensed electrical contractor and can assist you with various options to meet your needs. Is your fuse box too crowded with buttons or components? Is it getting old or outdated for your needs? Please let us know anytime if you have questions. Are you planning to renovate your home and electrical work is involved? 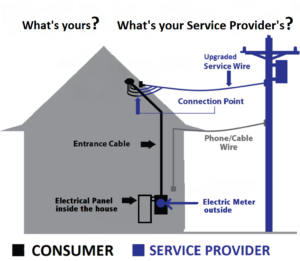 Do you need custom electric-related repairs in your home? Whether you are adding or removing electrical devices from your renovation projects, we are here to assist you with anything you may need. Do you have any electrical wiring challenges throughout your home? Pearce Electric is capable of troubleshooting all your wiring issues and finding solutions to fix your problems efficiently.